It’s hard to believe that it’s been two years since my Grammy left us. To be honest, I don’t even like to call attention to this day because it was honestly one of the saddest & hardest days of my life, so far …and it’s not one I like to remember. But, like any other person who has lost a loved one, you can’t help but remember that time. So, I am choosing to celebrate her today, as I do every day. There’s not a day that has gone by since her passing that I haven’t thought about her. And I know she would be pissed off at me if I spent today being sad….so I will do my best to not be. Last night, I spent some time looking through photos. I can’t write a lot today or else I will cry, but I wanted to share some memories here with you…. I totes remember these pink snow boots 🙂 …me & Bobby having fun way back in the day with Grammy. 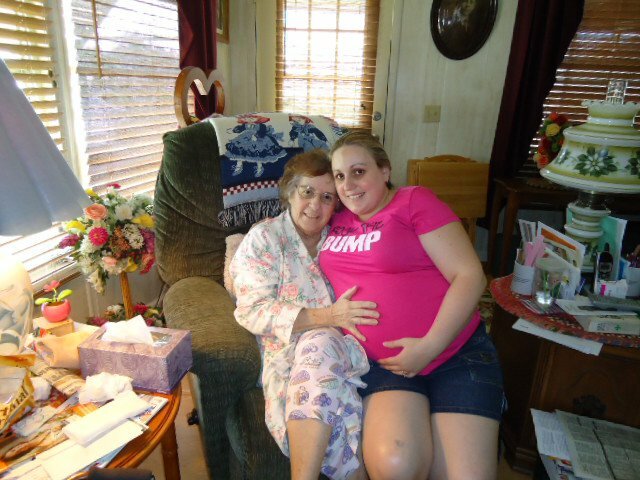 She loved us like we were her own babies, and for that, I will forever be grateful…. These are from our wedding in April 2002. She & Grampy LOVED to dance….and they were great at it. Like Fred & Ginger! I don’t have a lot of pics from when I was pregnant but I am so glad I have this one. This was taken just a few weeks before Liam made his grand entrance. 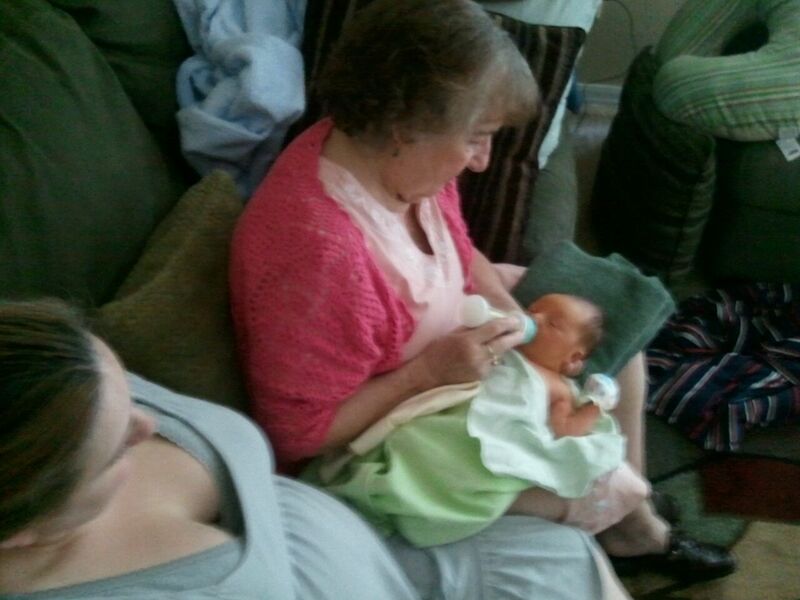 Here is Grammy holding & feeding Liam when he was just a few days old. Words cannot express just how thankful I am that she was able to meet him & spend the 1st few months of his life with him. It breaks my heart that he will never remember it, but I will have these pictures to one day tell him about her when he’s old enough. I take comfort in knowing that she is still with us in spirit & watching over us. I hope that she can “see” what an amazing child he is turning out to be. I know she would love him! This is the last picture I have of all of us together. This is my Grammy & Grampy’s wedding picture from May 3, 1952. And, this is the laminated copy that my Grampy carry’s around in his wallet. It’s the sweetest thing ever, PLUS it’s an awesome picture. Sorry this isn’t the best quality pic & my thumb is showing, but I literally took a picture of his picture…ha! Ever since I was a little girl, I admired their marriage & relationship. I’m sure it wasn’t perfect….no one’s is. They made it work, though…for over 50 years. I can only hope Stephen & I can have as many years together, as they had. Love you, Grammy & miss you so much! !